The LT-ECHO 10 and LT-ECHO 15 are the perfect amps for beginners. 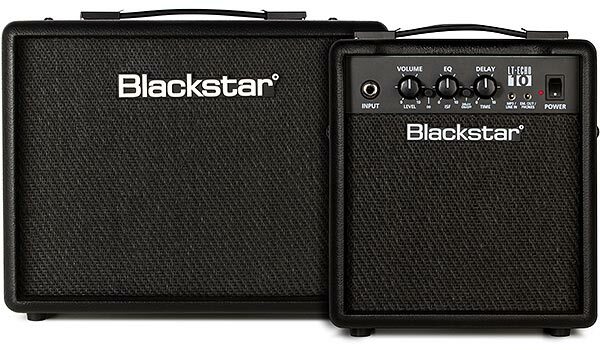 Both combos have two channels, Blackstar's patented ISF tone shaping control and uniquely in this part of the market a built-in 'tape' delay effect. The inclusion of an MP3 input and Emulated/Headphone output make them perfect for practicing. They also include an awesome tape delay effect with a tape delay level control. A practice guitar amp hasn't ever sounded this good!